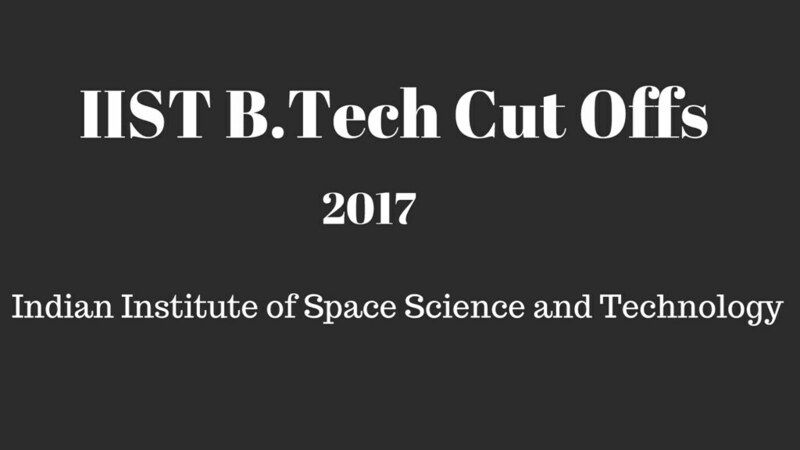 IIST Admission 2017 Cut Offs for B.Tech Course is given below. Opening & Closing Percentage of JEE Advanced 2017 marks. IIST Admission 2016 Cut Offs for B.Tech Course is given below. 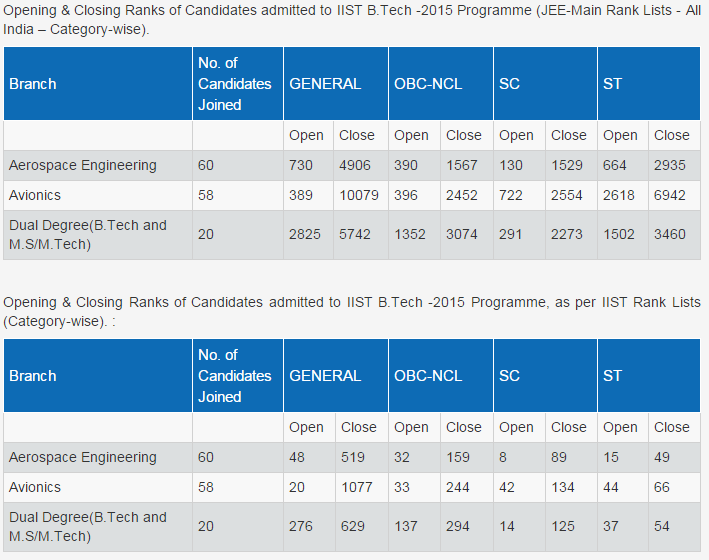 IIST Admission 2015 Cut Offs for B.Tech Course is given below. 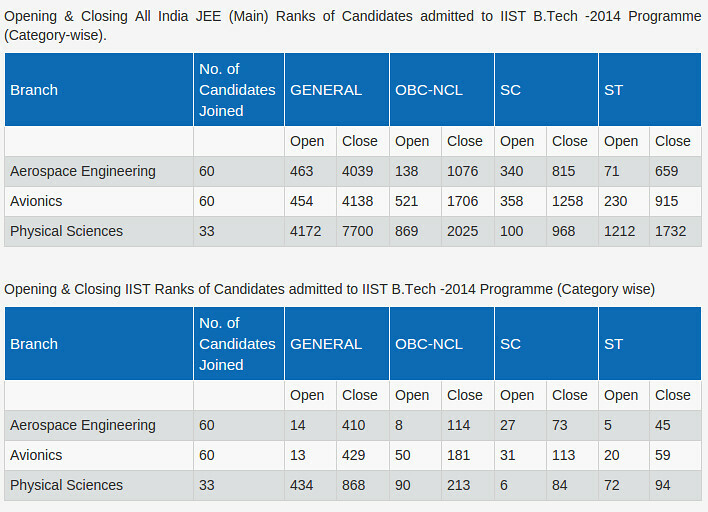 IIST Admission 2014 Cut Offs for B.Tech Course is given below. 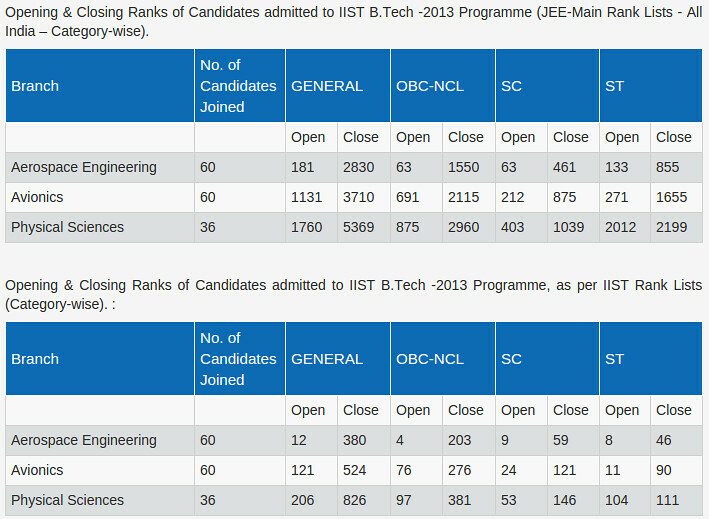 IIST Admission 2013 Cut Offs for B.Tech Course is given below.